If you've found quickFilters to improve your Thunderbird life, please consider support quickfilters development through obtaining a pro license. We can really use the support. Thanks again in advance. Get quickFilters Pro for 2018! 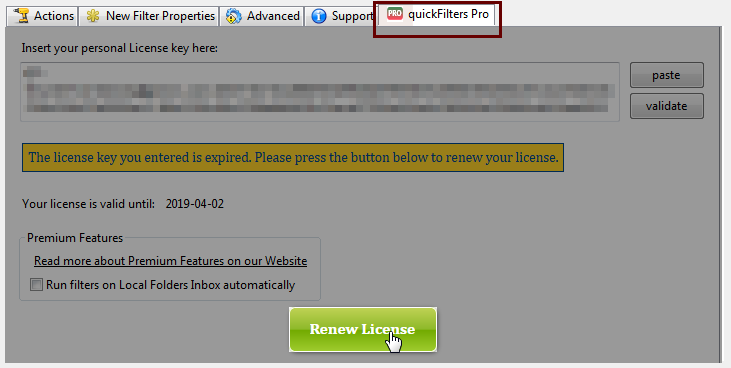 I have kept the process as simple and hassle free as possible, and you can use quickFilters Pro on as many Thunderbird installations as you like as long as it has your registered email address on it. 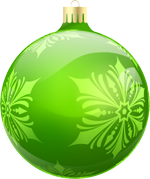 And yes, you can have more Email addresses - no need to get additional licenses. As of 26/02/2019, ordering is even simpler - by removing unnecessary address and telephone forms. Your personal information will not be passed on or stored in a database by the shop. You can use quickFilters Pro on as many Thunderbird installations as you like as long as it has your registered email address on it. Also, the licensed email address is not given to any third parties or used for marketing purposes, it is only used for order fulfillment and license verification. 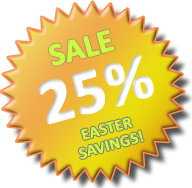 In April 2019, you save 25% on the regular renewal price and support the quickFilters project! Support the future of quickFilters and enjoy unlimited Premium Features. 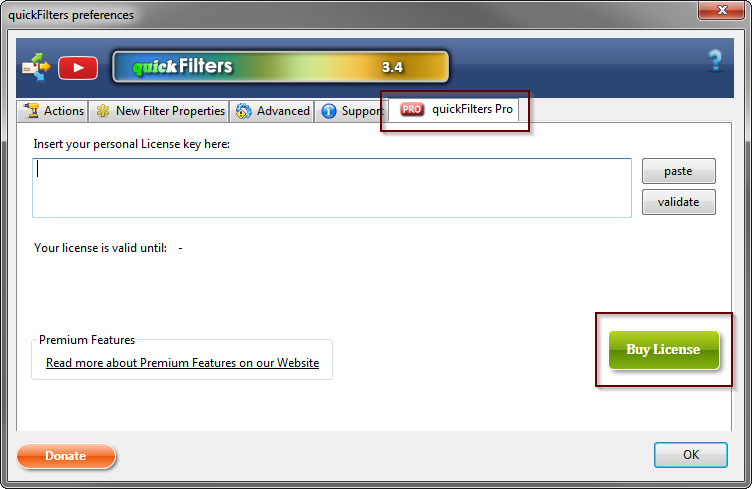 Thanks for supporting quickFilters through your Premium License. If you want to buy me a beer as well, you can donate below - many many thanks! If you're not ready to support the quickFilters project through buying a license, you can buy me a coffee instead. Just note for this you will need a paypal account. The licenses (above) can be paid with other payment methods. If this page displays within Thunderbird: right-click and choose Open in Browser! I love quickFilters - it makes working with filters a breeze! Yes! It makes me more productive so I want to buy you a coffee! Any Questions? If you actually have donated already or only like freebies (yes, there is them...) you can also disable this page. Euro donations: 10 Euros will be considered generous. Some people have given 50$ some 2$, but anything is welcome. Your tip is important to make QuickFilters even more excellent! Just send me an email, and I give you my address for sending a cheque or bank note. 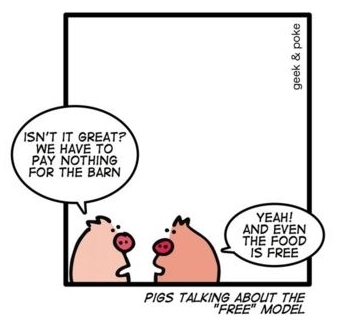 I think the most important aspect on free software is that it is a political statement to avoid the pitfalls of proprietary, monopoly driven software that coined terms such as "Embrace, Extend and Extinguish" and the innovation crippling model of patenting software (for further reading, please see links below). At the moment there is a conflict (I almost wrote war) between the old proprietary model of software and the Free Software Concept, and its you, the users who will really decide where the future will take us. 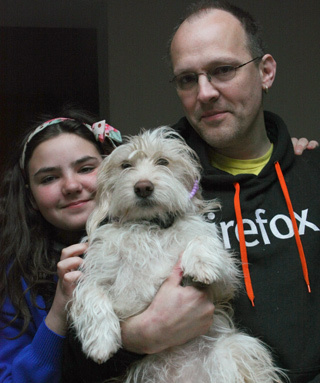 By downloading the Mozilla products and extensions by independant software developers, like quickFilters, you are actively helping the cause. 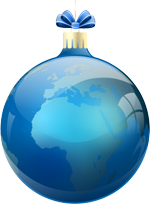 Free software is a matter of the users' freedom to run, distribute, study, change and improve the software.